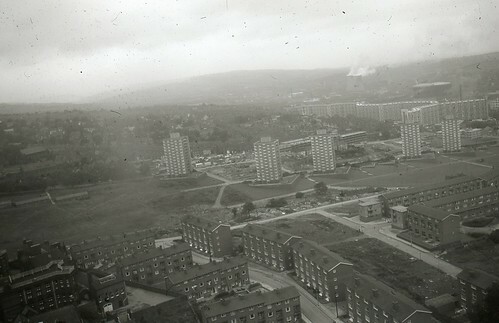 View from the Arts Tower, University of Sheffield, 1966. These two photos taken from the University Arts Tower soon after it was opened in in 1966. They show Netherthorpe, Upperthorpe, Neepsend and lower Walkley including Kelvin Flats. 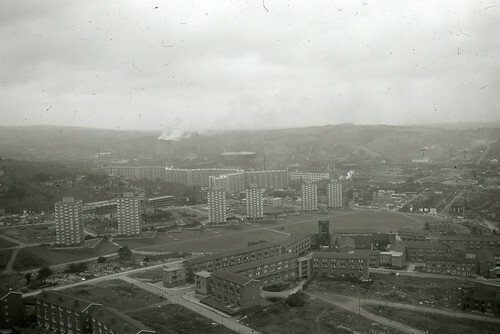 They were taken during a crucial period in the slum clearance and redevelopment of this area of Sheffield. Parts of Netherthorpe and Upperthorpe had already been cleared and redeveloped so creating high rise flats and the Ponderosa Park. 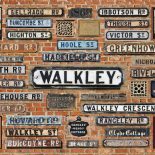 Demolition of houses in Walkley was about to begin. View from the Arts Tower, University of Sheffield. 5/10. Image thought to be taken soon after the building was opened in 1966., a photo by The JR James Archive, University of Sheffield on Flickr. View from the Arts Tower, University of Sheffield. 4/10. Image thought to be taken soon after the building was opened in 1966., a photo by The JR James Archive, University of Sheffield on Flickr. This entry was posted on March 6, 2014 by Bill Bevan in 1960s 1970s Life, Slum Clearance.